Captain Jack Harkness fans: this is your comic. 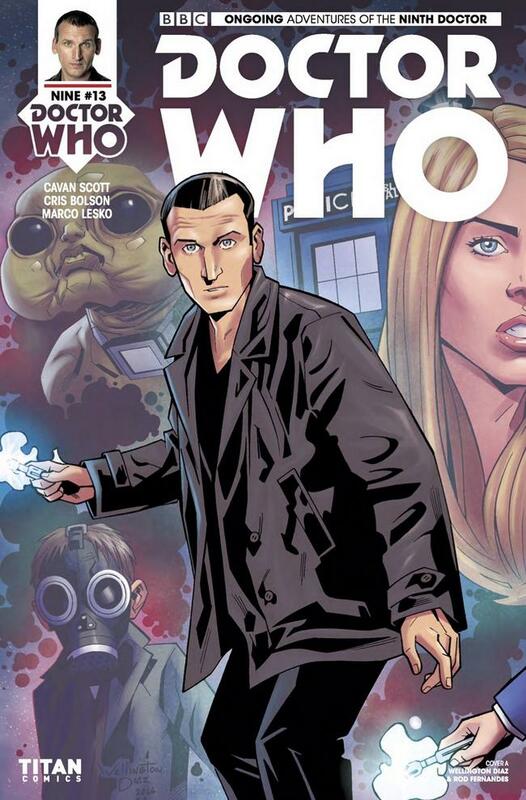 There is a large slice of fandom and longs for the lighthearted Doctor Who Captain Jack, compared to his days on Torchwood (which, yes, also has it’s own comic series.) He’s a character that isn’t immortal, which happened at the end of the 2005 season of Doctor Who. He’s known for his trademark flirtations, but with an extra levity or lightheartedness to him. You can find plenty of that that Captain Jack here. This issue explores the missing years of Jack’s memory and his activities as a time agent. It’s a bittersweet and adventurous look back over Captain Jack’s misdeeds and the possibilities of what lead to him losing his memory. I have a confession: I’m not a Captain Jack fan. I do not dislike the character. Captain Jack always makes me laugh, when he appears. I’ve just never cared for smooth-operator type characters. They generally feel predatory while everyone falls for their charm and win the world over in the twinkle of an eye. “My” Captain Jack moments, the ones where I appreciate him the most, are when he shows how knowledgeable and helpful he can be to those around him. It’s a bias I need to admit upfront so I can explain just how much this issue caught me by surprise and fascinated me. Scott, Bolson and Lesko are not telling a potential end of the galaxy story. It’s a tailored tale that’s part James Bond, part science fiction and all adventure. The intrigue and mystery level are high, along with the gun count. For those concerned about it having more of a Torchwood feel, fear not. Bolson’s style is true to the Doctor Who universe with alien humanoids. Key full pages as well as an action filled double page spread help the pacing to fly, in an exciting fashion. Lesko’s color choices keep the world from feeling too heavy. The number of panels with rain scenes is something to behold. The way the art and color merge is probably something the average reader will take for granted. However, when you stop to look a minute to realize you’re not looking at hundreds of black lines, to represent rain. Instead the use lightened areas and gradients help create an amazing level of detail. This allows readers to immerse themselves into the scene. If you are looking for Rose and Doctor snark in this issue, this isn’t for you. I’m sure the team will get back together soon, for now though this arc is ‘The Jack Show.’ The non-linear formatting of the story might confuse some readers. There isn’t any clear art clue to let you know what is backstory and what is Jack’s current dilemma. Dialogue and letter’s labels helps to make those distinctions more clear. The whole story is very Doctor-lite. The ending will cause your brows to knit together in some shock and puzzlement. You will begin to question just who will Jack be going forward in this arc, and by default, Captain Jack in stories we’ve already seen. It’s a daring move, if Scott and team follow through with the cliffhanger they’ve set up. However, even a more modest conclusion will require lots of problem solving adventures ahead. Most of the creative choices make this issue a good jumping on point for Ninth, or even Tenth, Doctor fans. Of course, though, this is tailored made for anyone looking to fill the Captain Jack hole in their fandom.